Learn more about CHNW's recent activities. 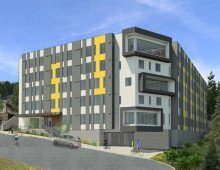 We're a non-profit providing student housing in Portland and Corvallis. We are proud to have established ourselves as an organization that makes renting effortless. 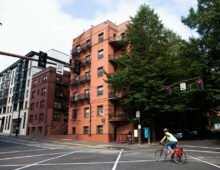 By removing some of the most common barriers to leasing for both international and domestic students, CHNW allows students to be close to PSU campus and many other institutions in the Portland area, giving them opportunities to engage in student life activities and access public transportation, all while still maintaining their independence. From our free campus shuttle traveling to local universities, to our dedicated team of resident ambassadors, College Housing Northwest provides a wide range of student support services. Students can even check out equipment such as handcarts, tools, and other household items free of charge in some of our locations. Because our rental prices are kept below market value, and no previous rental or credit history, guarantor, or income restriction is required, we offer an easy experience to support those students who are signing their first lease. Additionally, low-security deposits allow our tenants to move into an apartment without the usual heavy out-of-pocket expenses. As a nonprofit organization, we have the flexibility to offer unique, student-focused rental opportunities without being driven to continually increase the bottom line. We leverage federal and state 501(c)(3) tax incentives to benefit students as well as the colleges and universities that partner with us. This minimizes financial burdens for partners while giving students the opportunity to live in housing that fosters academic success and personal development. 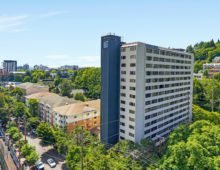 Located in Portland and Corvallis Oregon, our properties are directly on or within blocks of local university campuses. Students have access to educational and living services that will help them succeed. 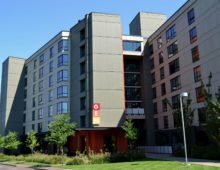 Join students from Portland State University, Oregon State University, University of Oregon, Pacific Northwest College of Art, Oregon College of Oriental Medicine, Portland Community College, and English language institutions in one of our convenient student housing locations. Visit us today to learn more about student life and living options!